Will Snowden Provide Proof Of Extraterrestrials? 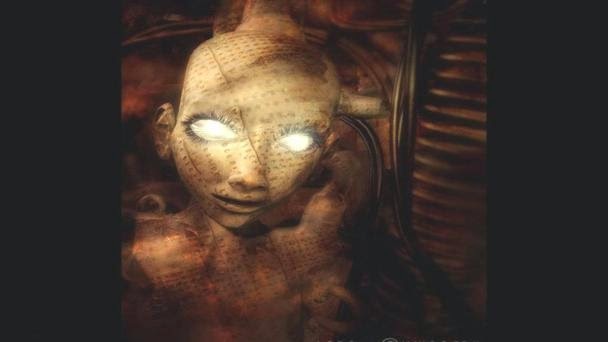 Will NSA whistleblower Snowden release proof of alien visitations to Earth? 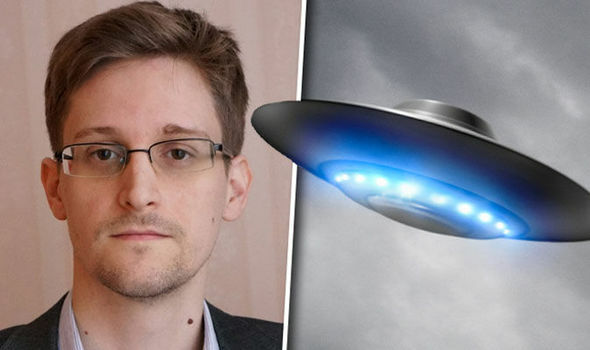 UFO chasers hope NSA whistleblower Edward Snowden may be on the brink of releasing a string of confidential US files proving the existence of aliens after he talked turkey about extraterrestrials for the first time. Hopes have been raised among the "UFO disclosure" community after Snowdon said aliens are probably trying to contact us right now from Russia where he remains in hiding. The American, who is on the run after dishing the dirt on how the US National Security Agency (NSA) keeps tabs on civilians across the globe, made the claims during a scientific podcast called StarTalk hosted by Neil de Grasse. He said even if aliens are sending us electronic messages, we probably can't tell what they are sending us. In short, because of the internet security encryption here on earth, he believes any aliens would likely do the same, and so if they do send anything we won't understand what it is. Secret space programme conspiracy theorist Corey Goode has suggested documents that were taken by Snowden that have "been decrypted" and will "soon be released in a massive document dump". GaianEye posted on UFO Sightings Daily: "Hopefully Corey Goode is correct in saying that the data dumps of UFO docs will be coming from Snowden soon." Snowden earlier said on the podcast: "So if you have an alien civilisation trying to listen for other civilisations, or our civilisation trying to listen for aliens, there's only one small period in the development of their society when all of their communication will be sent via the most primitive and most unprotected means. "So when we think about everything that we're hearing through our satellites or everything that they're hearing from our civilisation, if there are indeed aliens out there, all of their communications are encrypted by default. "So what we are hearing, that's actually an alien television show or you know a phone call is indistinguishable to us from cosmic microwave background radiation." 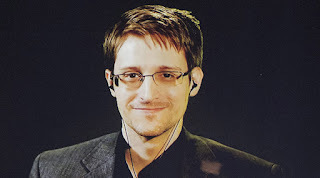 Snowden's leaks were originally published by the Guardian newspaper in the UK. He went into hiding in 2013 and was granted asylum in Russia. Back home he faces charges of espionage and theft of government property. And if we send any information into the galaxy the aliens may have no idea either. But the mere fact that Snowdon has even entertained the topic has seen alien researchers doing somersaults. "Snowden is a hero. I hope some of his documents will reveal some alien info soon." There is widespread hope among the UFO global community that within Snowdon's stash of NSA files there were reams of documents about the USA's involvement with aliens and so-called secretive "black projects" and "secret space programmes".